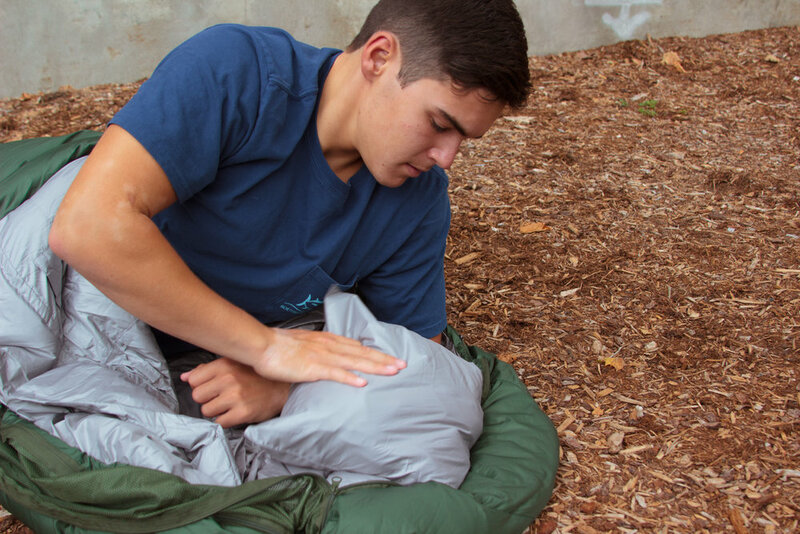 Through research, interviews, and many iterations we have developed the multi-purpose sleeping bag that TravlerPack is today. The bag can be stuffed into the compression sack to be more easily carried over one’s shoulder. The full length zipper comes on either the left (L) or right (R) side. 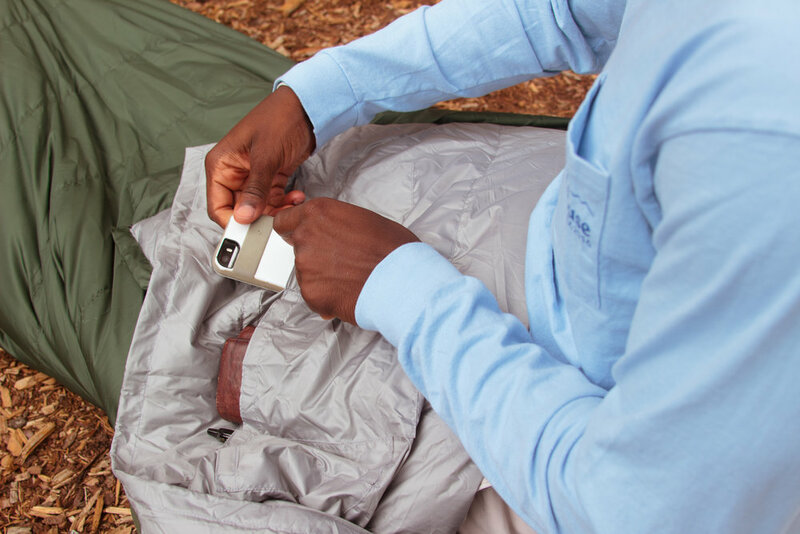 A label on the front of the sleeping bag indicates what side the zipper is on. The sleeve on the underside of the bag can be lined with extra clothing to provide additional layering above the ground. There are 5 pockets on the inside of the bag that can be used to store small items. The pocket with the zipper is waterproof. 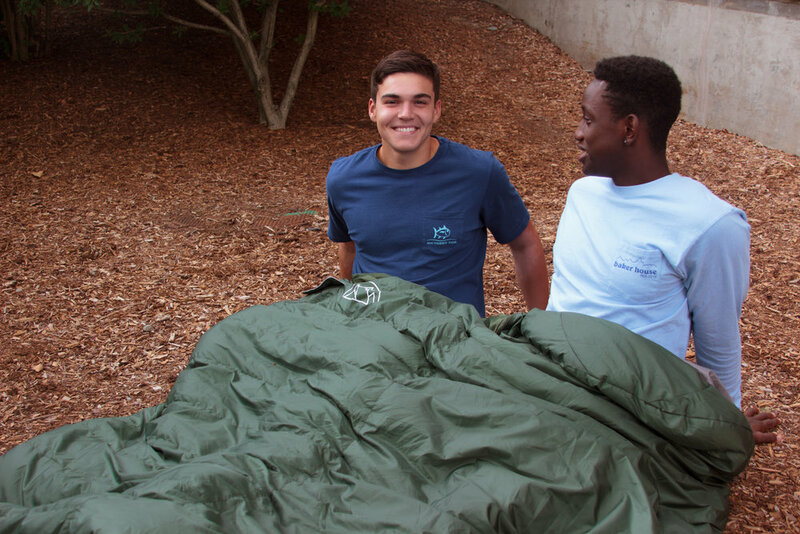 A pocket in the hood of the sleeping bag can be filled with clothing or other materials and becomes a pillow. 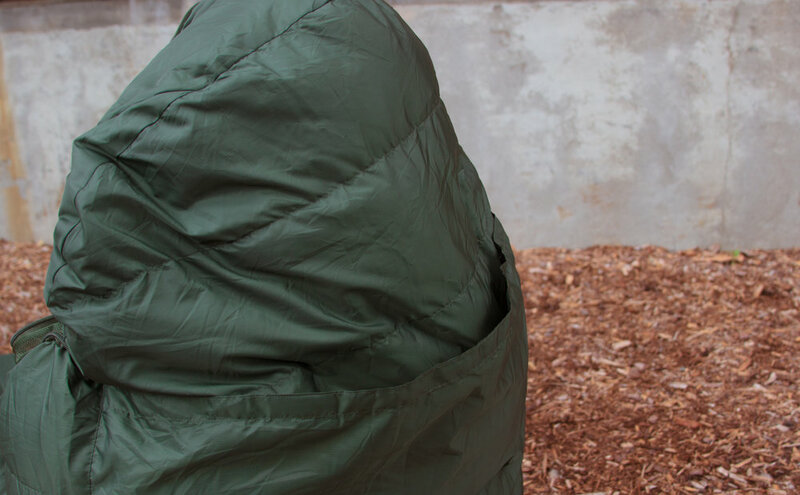 By fully unzipping the full length zipper and the zipper along the foot of the bag, TravlerPack can be used as a blanket. 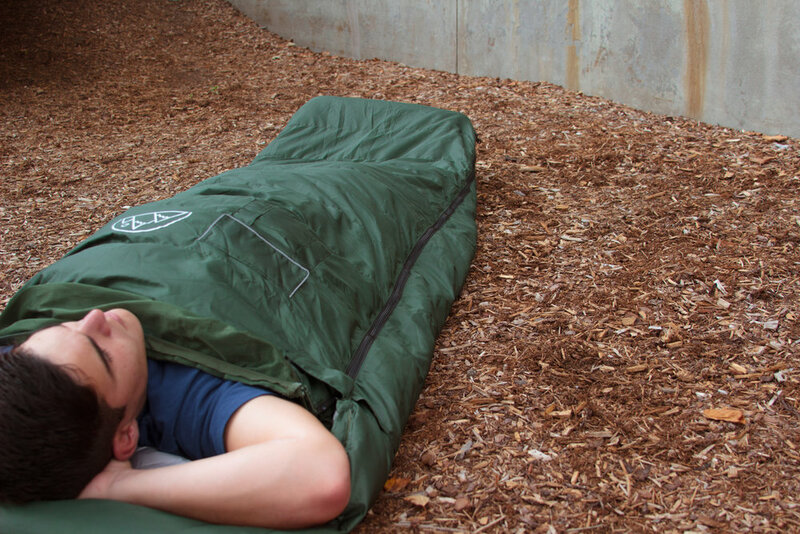 Two bags can be zipped together to make a larger sleeping bag. To do this, unzip the bag completely and match the two zippers. Zip one bag to the other.